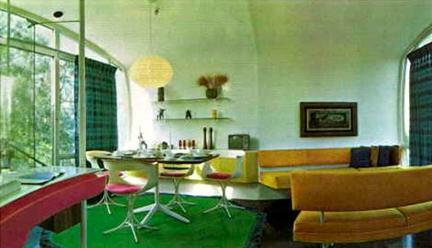 Villa Spies in the Stockholm archipelago, “…a futuristic, hedonistic summerhouse designed in 1969 by the young Swedish architect Staffan Berglund for the wealthy Danish visionary and business genius Simon Spies.” Completely round, it was really something different from the traditional houses in Sweden. 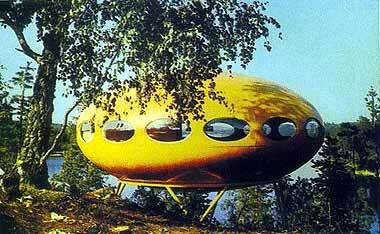 In the early 70’s Finnish architect Matti Suuronen designed a UFO-shaped mobile home called Futuro. Picture from: arcspace.com (which has more info and pictures of it). 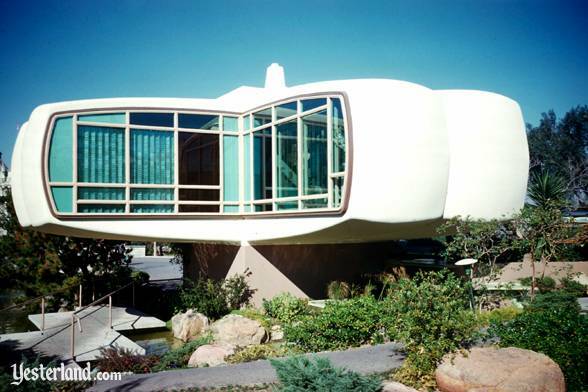 In the 1950’s and 60’s, Disneyland exhibited some very interesting visions of future houses. 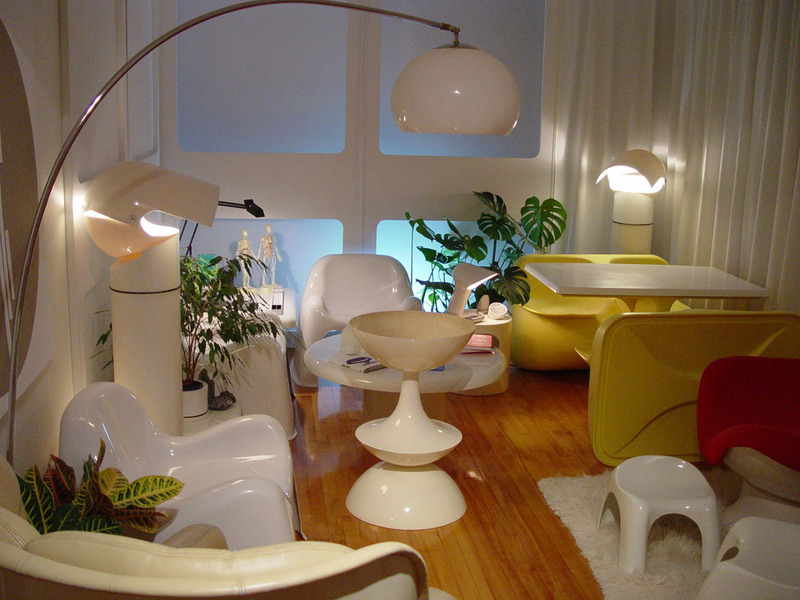 One example was the Monsanto-sponsored House of the Future. 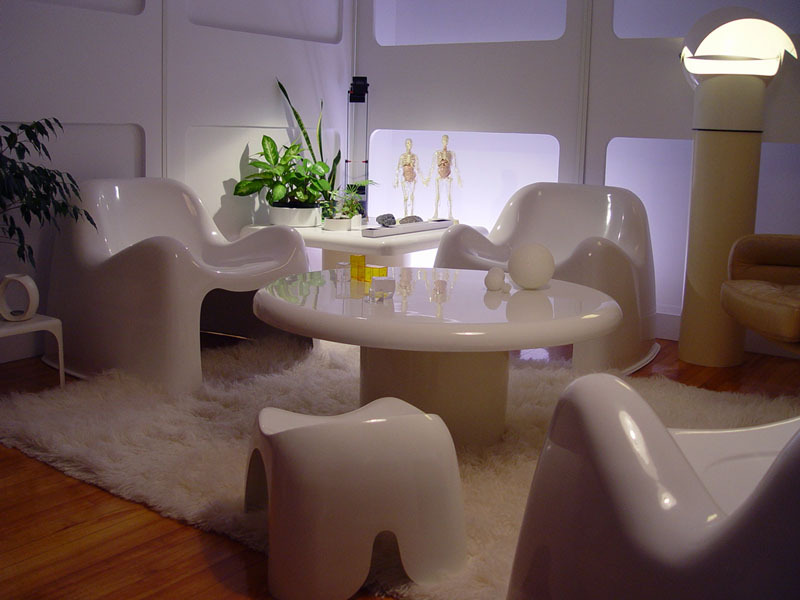 In the 1970’s, science fiction TV-series such as Moonbase Alpha continued to inspire home design with white or cadmium orange, red and yellow plastic products and furniture.